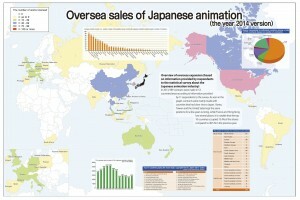 Our organization has been publishing “The Report on Japanese Animation Industry” on every year, which provides with the latest information about Japanese animation industry and its business. It is only available in Japanese; however, for non-Japanese readers, we have prepared the summary version of the report, which you may download from the link below. To purchase the report, please use the link below to download the printed version or PDF. (The link is in Japanese).